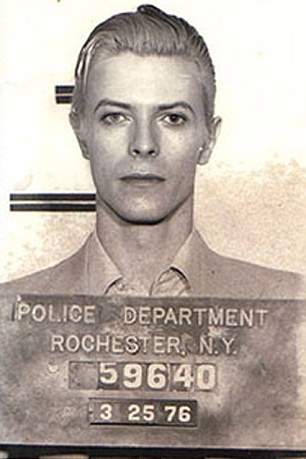 Home/Blog→Music→Bowie — best mugshot ever? Has there ever been a better one? Everyone looks bad in a mugshot (even Hugh Grant — remember that shifty-looking one of him when he was arrested in LA?) But somehow Bowie looks immaculate.